Thought I’d get back into the blogging with pics of some boxes I made during Autumn 2012. The boxes are variation on the basic, bandsaw box, design. 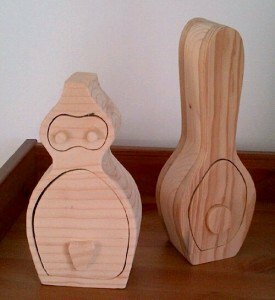 Demonstrations of the technique can be found on You Tube and are quite straightforward to follow if you have a bandsaw and fancy having a go.